Building a better Fraternity, Building a better Man. It was the second day in the second month of the second millennium that marked the foundation of Gamma Sigma Zeta's alpha chapter at The State University of New York College of Agriculture and Technology at Cobleskill. The fraternity was established through the idea of one Jarrett Lawrence, a Computer Science major. The Fraternity was an idea that was first conceived in mid November of nineteen ninety-nine; however, it was not the only idea to be birthed and brought to life within the following months of the New Year. The sisters of Beta Sigma Zeta sorority incorporated, whose Founding Mothers are Charlene Powell and Vida Byrd, were also applying the foundation for their sorority. The official date of their establishment began on November fourth nineteen ninety-nine. The fraternity was able to activate the first core of brothers on Sunday February 8th 2000. The first of many lines to join the esteemed ranks of Gamma Sigma Zeta crossed on May 14th 2000. The men of Gamma Sigma Zeta received incorporation on May 13th 2005 and were inducted into the National American Greek Council on December 1st 2007. The smooth men of Gamma Sigma Zeta fraternity incorporated have created a home within this house, and within this home they are proud kings. Each person that becomes a new member continues the tradition of placing a new brick on the foundation of their home. Over time, this home will turn into a castle for all the kings of Gamma Sigma Zeta fraternity Inc. Growing and expanding is learning, and education is the element most appreciated by this fraternity. As they grow and spread their seeds of philosophy they become men of respect. 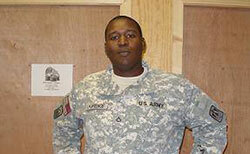 For those who cross over and join the royal realm of Gamma kings breed new soul and enthusiasm into their family. In addition, they keep the bright light that glows, navy blue, baby blue, and old gold. 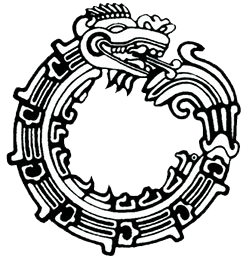 Ouroboro was the ancient Greek mythical serpent that survived by devouring itself. "It had no need of eyes, for there was nothing outside it to be seen; nor of ears, for there was nothing outside to be heard. There was no surrounding air to be breathed, nor was it in need of any organ by which to supply itself with food or to get rid of it when digested. Nothing went out from or came into it anywhere, for there was nothing. Of design it was made thus, its own waste providing its own food, acting and being acted upon entirely with and by itself, because its designer considered that a being which was sufficient unto itself would be far more excellent than one which depended upon anything." What does Gamma Sigma Zeta Mean? 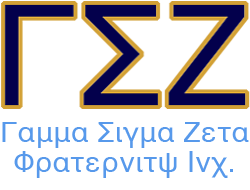 Gamma Sigma Zeta's sorority sisters are Beta Sigma Zeta, Inc. Visit their website.